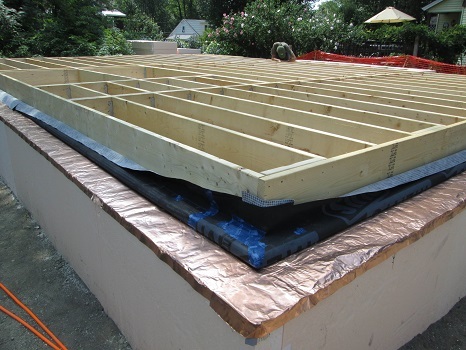 YorkShield 106 TS™ is a copper termite barrier solution, made of a single sheet of 2 oz. copper and a tough polymer layer, laminated with 100% rubber adhesive. The copper is ﬂexible, easily formed on-site and the rubberized laminate offers excellent protection from the chemically-treated wood. Unlike aluminium termite shields, YorkShield 106 TS™ will not corrode or degrade when exposed to ACQ and other treatments.